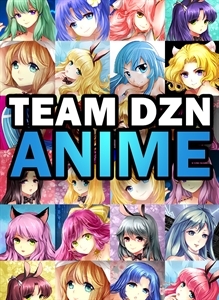 Check out the Team DZN Anime Themes and Gamer Pics! We have heard you, and Team DZN is back! See our latest creations and art from Team DZN. Enjoy the new Cat Lasers HD Theme 3 from Team DZN. We have heard you, and Team DZN is back! See our latest creations and art from Team DZN. Enjoy the new Cat Lasers HD Theme 2 from Team DZN. We have heard you, and Team DZN is back! See our latest creations and art from Team DZN. Enjoy the new Abe Anime Dynamic Theme from Team DZN. We have heard you, and Team DZN is back! See our latest creations and art from Team DZN. Enjoy the new Ana Ninja Rooftop Dynamic Theme 2 from Team DZN. We have heard you, and Team DZN is back! See our latest creations and art from Team DZN. Enjoy the new Akiyoshi Anime Theme from Team DZN. We have heard you, and Team DZN is back! See our latest creations and art from Team DZN. Enjoy the new Amarante Anime Theme from Team DZN. We have heard you, and Team DZN is back! See our latest creations and art from Team DZN. Enjoy the new Acai Anime Samurai Premium Theme from Team DZN. We have heard you, and Team DZN is back! See our latest creations and art from Team DZN. Enjoy the new Aimi Anime Ekittie Theme from Team DZN. We have heard you, and Team DZN is back! See our latest creations and art from Team DZN. Enjoy the new Ayaka Anime Premium Winter Theme from Team DZN. We have heard you, and Team DZN is back! See our latest creations and art from Team DZN. Enjoy the new Arisu Anime Premium Theme from Team DZN. We have heard you, and Team DZN is back! See our latest creations and art from Team DZN. Enjoy the new Chika Anime Premium Theme from Team DZN. We have heard you, and Team DZN is back! See our latest creations and art from Team DZN. Enjoy the new Epic Epic Anime Premium Beach Theme 4 from Team DZN. We have heard you, and Team DZN is back! See our latest creations and art from Team DZN. Enjoy the new Epic Anime Sniper Premium Theme 3 from Team DZN. We have heard you, and Team DZN is back! See our latest creations and art from Team DZN. Enjoy the new Epic Anime Beach Premium Theme 2 from Team DZN. We have heard you, and Team DZN is back! See our latest creations and art from Team DZN. Enjoy the new Epic Anime Beach Premium Theme from Team DZN. We have heard you, and Team DZN is back! See our latest creations and art from Team DZN. Enjoy the new Akie Anime Theme from Team DZN. We have heard you, and Team DZN is back! See our latest creations and art from Team DZN. Enjoy the new Akaho Anime Theme from Team DZN. We have heard you, and Team DZN is back! See our latest creations and art from Team DZN. Enjoy the new Aki Anime Theme from Team DZN. We have heard you, and Team DZN is back! See our latest creations and art from Team DZN. Enjoy the new Akeno Agent 1001 Theme from Team DZN. We have heard you, and Team DZN is back! See our latest creations and art from Team DZN. Enjoy the new Akiye Agent 1002 Theme from Team DZN. We have heard you, and Team DZN is back! See our latest creations and art from Team DZN. Enjoy the new Akako Ekittie Dynamic Theme from Team DZN. We have heard you, and Team DZN is back! See our latest creations and art from Team DZN. Enjoy the new Airi Ekittie Dynamic Theme from Team DZN.